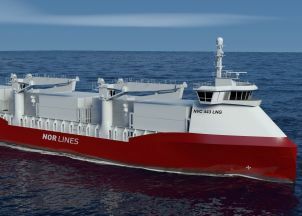 The shipping company Nor Lines will take the lead on the cargoferry project. Global classification society DNV GL and 25 partners from the Norwegian maritime industry and the Norwegian authorities have presented the five pilot projects that will be pursued as part of Norway’s Green Coastal Shipping Programme. Four out of five include #hybrid #marine engines or infrastructures.